On most construction jobs, you have to get materials from the ground to where they’re needed – individual floors and on the roof. Rather than using a huge crane that can reach the top floor, why not put a mini-crane on the rooftop and simply pull everything up? Its a simpler proposition, is less labour-intensive, and works at a fraction of the cost! 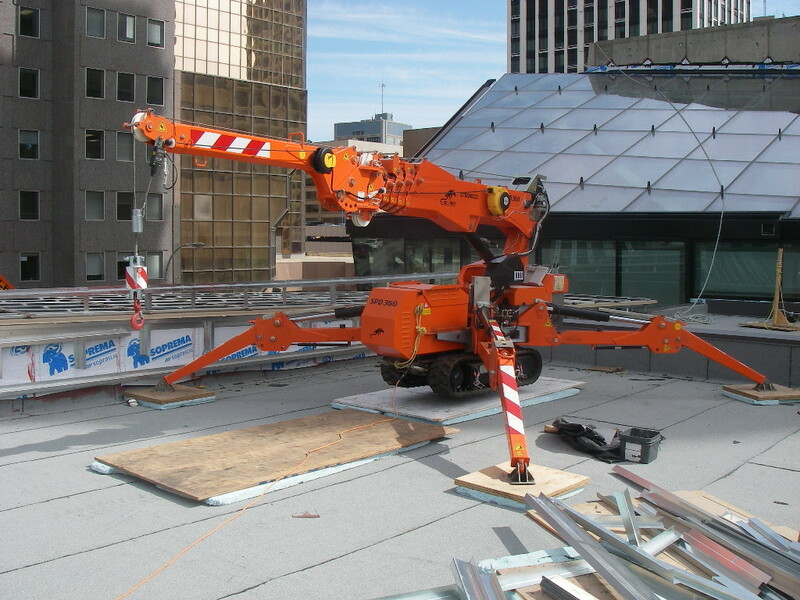 Check out this Jekko SPD360 mini-crane lifting materials up to the rooftop of an Edmonton bulding. 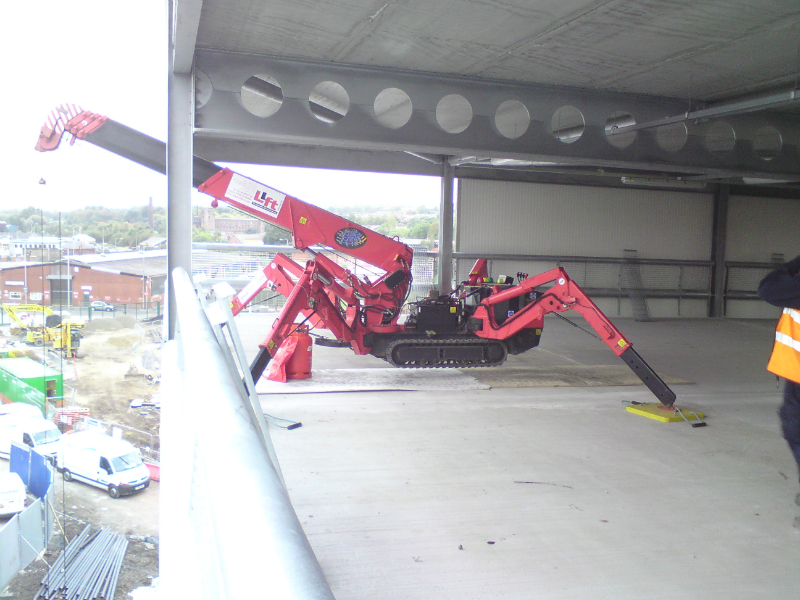 Here’s a Spydercrane URW295 mini-crane lifting materials up to individual floors of a building.